Juan's main field of interest is foundations of data management. His PhD thesis entitled “Graph Patterns: Structure, Query Answering and Applications in Schema Mappings and Formal Language Theory’’, prepared at the university of Edinburgh under the supervision of Leonid Libkin, is in the area of graph data management. The main goal of Juan's thesis was the study of graph patterns and querying mechanisms for them. His work provided a full classification of the expressive power of graph patterns based on regular expressions. One of the key conclusions of the thesis is that querying graph patterns is computationally harder than querying patterns in other paradigms such as relational or XML databases, which has implications, for example, in applications that need to integrate or transform graph data. The computational cost of querying patterns also necessitates the search of tractable restrictions and efficient heuristics. His dissertation shows a connection between querying graph patterns and constraint satisfaction, opening up the route of employing many heuristics developed in that field. 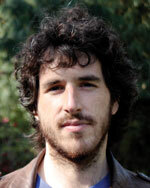 During his PhD, Juan has received several recognitions. For his work in exchanging knowledge bases he got the Best Paper Award at PODS 2011 (a top database conference) and the “Ramon Salas” award for the best work in engineering produced by Chilean researchers on 2012. In his short career Juan has already produced an impressive number of publications and research results in different topics. The list of his publications includes nine journal papers, eleven conference papers, two book chapters and four workshop papers. His work was published in several top-rated conferences and journals, including two journals of the ACM. After his PhD. studies Juan continued his work in graph data management. He is now studying the problem of static analysis and optimization of graph queries. To pursue this line of research, Juan received a competitive start-up fund for a project called “Query Languages and Views for Graphs with Data”, awarded in 2013 by the National Commission for Scientific and Technological Research in Chile. He is also an associate investigator of the “Millennium Nucleus Centre for Semantic Web Research”, a competitive research project involving three Chilean universities that is funded by the Chilean Ministry of Economy. Juan has also been working in the field of schema mappings (exchanging data between applications using different schemas, according to a set of predefined translation rules). His most significant contribution is a theoretical framework for studying the exchange of complex databases such as knowledge bases or databases containing ontologies. This work has had implications also outside database theory and is now being cited by several papers in the area of description logics.